In the early 70's I ran a motorcycle shop. One summer day a nasty, smelly, bushy bearded Harley rider pulled up to the shop. In my most polite manner informed him I had nothing in the shop he would want. With a stare that would kill, he left. A few days later a young cop came into the shop in uniform. Had not seen him before but his eyes looked familiar. Yes it was Neil. He had been working undercover. We've been friends ever since. Neil got out of the cop business a few years back and went into the Human Resource business. 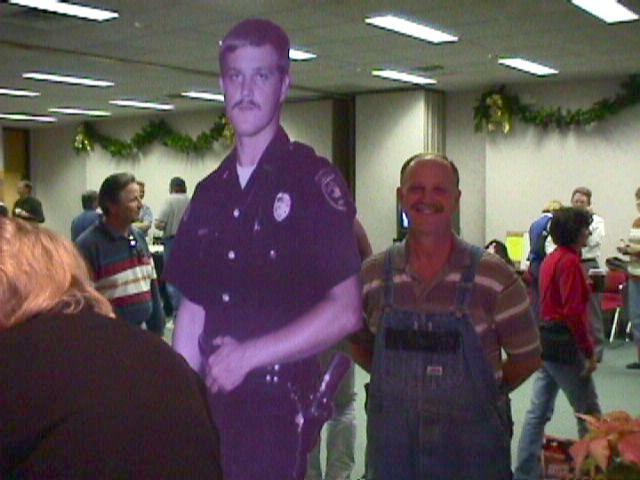 These are a few pictures from his retirement party. Yea, he still rides Harley's, note the fringe on his overalls, but he is mostly "Farmer" Neil now. Can't say much about this one. But he seems to enjoy it.